It turns out that breaking up is not so very hard to do. 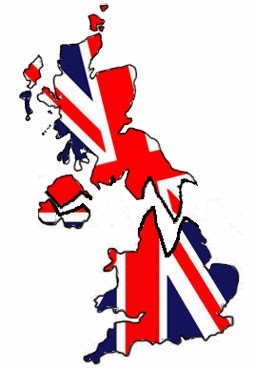 It might have been thought that the prospect of the breaking of Britain, which would be the consequence of a yes vote in Scotland’s referendum later this year, would be exciting passions throughout this presently United Kingdom. After all that is what secessionism usually provokes. The fact that this is not so is therefore significant. This is not Canada desperately trying to hang on to Quebec, or Spain relentlessly denying Catalonia its independence (where a referendum later this year has been declared illegal by Madrid). Not only has Scotland got its referendum, without any real fuss apart from a little spat about the question to be asked, but everyone seems perfectly relaxed about both the process and the outcome. Of course this could be because there is confidence that the polling evidence so far is correct, and that Scotland will decide to stay. This is clearly a factor, but it is also not the whole story. There is something more going on here. The benign view is that we have such a seasoned and civilised polity that it is able to take even a putative secession in its stride, refusing to make too much of a fuss about it. The less benign view is that we have lost the capacity, and the will, to tell a story about Britain that might make people want to continue to be part of it, so that separatism is encouraged by default. It is also complicated by the fact that the Conservatives are now so depleted and discredited in Scotland, having fewer MPs there than there are pandas, that a Conservative (and unionist) prime minister is unable to lead a charge to save the union. David Cameron would not want to be remembered as the prime minister who allowed Britain to break up (nor, though less certainly, as the prime minister who allowed Britain to leave the EU), but in the case of Scotland he is able to be only a bystander. His only role is to keep out of the way. The further complication is that losing Scotland would bring electoral advantage to the Conservatives, which is why many in the party are quite sanguine about the prospect. The case of Labour is different, but also difficult. It can hardly say that it wants to keep Scotland because it provides a ticket to power for the party at Westminster, and that without it an electoral majority would be much more elusive, yet this is the brutal political truth. It would need to convert this into an argument for a broad British progressivism which goes beyond merely a ‘better together’ defence of the status quo. Yet this is made even more difficult by the fact some on the left have decided that, while social democracy is defeated in the rest of the United Kingdom, it could nevertheless be preserved in Scotland and that independence should therefore be supported. Solidarity is exchanged for clinging to the wreckage. In some versions of this argument there is an anticipation that independence for Scotland would produce a political reawakening in England too, even one with radical possibilities, as the English were shaken out of their constitutional lethargy by the need to work out what kind of country they wanted to be. However it as least as likely, perhaps even more so, that the reverse will happen and (alongside a movement to leave the EU) England will turn in on itself and settle for an unpleasant narrowing of outlook and spirit. Already there is a view amongst many in England not only that Scotland should go its own way if it wants to, which might seem relaxed and generous, but that its departure would be actively welcomed (and would be even more so if it could be persuaded to take Northern Ireland with it). What Scots are not hearing is a chorus of English voices asking them to stay. This would require an attachment to an idea of Britain which has clearly weakened. The props that supported the post-1945 world of Britishness – of common sacrifice in war, and common endeavour in building a welfare state – have slipped away. Nothing has been found to replace them. Some of the attempts to do so, by those who have worried about their absence, have been embarrassingly vacuous. On one side globalisation mocks the nation state; on the other side, an old kind of national unity is fractured by the explosion of difference in the population. The result is that, faced with the prospect of Scotland’s separation, Britishness now seems to have too little to draw on to be able to mount a vigorous defence of itself. What might such a defence consist of? It might suggest that there is a capaciousness about the idea of Britain that enables difference to be accommodated, in a unity that embraces diversity. It would celebrate the fact of multiple identities, including not excluding, and offer to the world an example of how this might still enable a common life to be lived. It would therefore resist the idea that separate identities required separate states. It would not be afraid to recognise its shared past, while confident enough to embrace a picture of a shared future. As far as the left is concerned, it would involve a version of Britishness that emphasised solidarity and provided the materials for an assault on the disfiguring inequality that separates some parts of Britain from others. Nor is such a version of Britain (and Britishness) fanciful. In many ways it only describes what is happening. Devolution might look like a constitutional mess, but it is a mess that works. A generation ago Wales was blighted by the divisive politics of language, but now has settled into an easy-going bilingualism. A Labour government at Westminster delivered substantial self-government to Scotland, recognising its distinctive claims (and even putting in place an electoral system that would deny itself majority power). Whatever the referendum result, Britain is moving towards a kind of quasi-federalism that splits power up. Breaking up may not be hard to do; but it is also not inevitable.